15 Reasons Why We Keep Reinventing the Wheel? Every now and then, someone asks why I write so much about the mediumship and psychical research of a hundred or more years ago and not more about the research going on today. I explain that I believe the mediumship of old was much more dynamic than that of today and that the research carried out by a number of distinguished scientists and scholars of yesteryear offers evidence that is far superior to that being developed today. As evidential as it was, it was pretty much ignored back then and it has been filed away in dust-covered cabinets so that very few people today are aware of it. Even many modern day parapsychologists are unaware of much of it. Many who are aware of the old research don’t understand it because of its complexities. It is like a one-thousand word jigsaw puzzle; the picture doesn’t begin to take shape until about 80 percent the pieces are in place and it is not fully appreciated until the puzzle is completed. Most people don’t go beyond the marginal pieces before concluding that it is too difficult and then giving up on it. That is not to suggest that the little research going on today with clairvoyants or the research in the area of the near-death experience hasn’t added to the evidence or is not of value, only that it is for the most part reinventing the wheel. The old research produced a solid wheel, but the newer research has tightened the spokes. Further, today’s research is much more meaningful if one first digests and understands the old research. 1. Religious Fundamentalism: Most of orthodox religion saw mediumship as a demonic practice, based primarily on misinterpreted passages in the Old Testament, such as Deuteronomy 18:12 and Ecclesiastes 9:5. Adding fuel to the fire was the fact that some messages coming through mediums conflicted with various Church dogma and doctrine. The position of orthodoxy remains much the same today as it was in the days of the pioneers of psychical research, thereby discouraging people who accept survival on nothing more than blind faith from moving on to true faith or conviction. 2. Scientism (Scientific Fundamentalism): The evidence for survival was ignored or scoffed at by “mainstream” scientists and referred to as pseudo science because it challenged the materialistic worldview that had been accepted by so many “intelligent” men and women who had dedicated themselves to scientific inquiry and advancement, beginning with the Age of Reason and later strongly reinforced by Darwinism. In effect, the acceptance of a “spiritualistic” worldview was seen as a return to the superstitions and follies of religion, and sanctioning it would have destroyed the foundation of the materialistic/mechanistic worldview and leave the majority of respected scientists and rational thinkers, especially professors who championed the materialistic worldview in academic institutions, embarrassed and humiliated. Little has changed in this regard. In effect, psychical research, what is left of it, was and still is caught between a rock and a hard place – between Religion and Science, leaving very few independent and open-minded people to examine, consider and appreciate the best evidence. 3. Media Bias & Ignorance: Journalists like to think of themselves as intelligent investigators and so naturally align themselves with Science. At the same time, exposing shams and fraudulent schemes lends itself to sensationalism and makes for good copy. Then, as now, the media frequently addressed any subject involving spirits as “woo-woo” stuff while putting a humorous or cynical twist of one kind or another on any story suggesting spirits of the dead. In addition, today’s television producers don’t understand the “balance” issue. When a researcher validates a medium, the producers seem to think they have to get a debunker involved in the program to counter the researcher, not taking into account the fact that the researcher has already dealt with and discounted the skeptical arguments. 4. Fear: Indications are that many scientists and scholars were invited by researchers to observe certain mediums, but some feared for their reputation if word were to get out that they were “dabbling in the occult” and therefore refused. There were a number, however, who accepted the invitations and observed genuine phenomena, but, with the same fears, they remained silent, not offering support for the more courageous researchers. Sir David Brewster, a famous nineteenth century physicist known especially for his contributions to the optics field, is said to have witnessed D. D. Home, one of the most famous physical mediums of his time, being levitated (lifted by spirits). Although seemingly quite impressed at the time, he later concluded that the only explanation was a trick he did not understand, or a delusion. “Spirit is the last thing I will give in to,” he was quoted. Such a mindset continues to exist. 5. Machismo: Various history books suggest that men of a century ago looked upon spiritual beliefs as a “woman thing.” Men smoked cigars, drank whiskey, fought in wars, governed countries and managed businesses. Religion had been impeached and such dreamy foolishness as spirits and angels was best left to the ladies. A man’s afterlife was his legacy of earthly accomplishments and he was expected to greet his extinction with a stiff upper lip. While women have significantly closed the gender gap since the Victorian era, machismo still seems to play a part in spiritual beliefs, as various surveys indicate that women are more inclined, generally, to believe in God and an afterlife than men. 6. The Causality Dilemma: The religionist, the scientist, the media and the general public all seem to assume that we must come up with proof of God before dealing with the survival issue. No God, no afterlife, is the atheist’s illogical reasoning. It is a deductive approach. The inductive approach of first looking at the evidence for survival might lead one to believe in a God, whether anthropomorphic (humanlike) or some abstract form of cosmic consciousness, but a belief in the survival of consciousness does not require that one begin with a belief in God. 7. Too Much Variety: There were and are many different kinds of mediumship, basically falling in three categories – physical, mental and a combination of the two. The physical mediumship of yesteryear included full materializations of spirit forms, partial materializations, e.g., a hand only, a face only, apports and levitations, while the mental type included tilting and turning tables, the Ouija board, trance-voice, direct-voice, direct writing, automatic writing and slate writing. There were mediums who were proficient at one kind and had no ability in other kinds. There were simply too many variables for the few researchers to deal with. They focused more on the trance mental mediumship. It was all just too bizarre and unworldly for most people. Today’s debunkers claim that the very fact we don’t have or hear about so much variety today is because it was all bunk. There are, however, a number of reasons to explain why it is not as dynamic today as it was then, but that is the subject of a future blog. 8. Semantics Issues: A recent Internet news source discussed modern television ghost hunters, people who go around haunted houses and graveyards looking for cold spots and energy fields, as being like the pioneering psychical researchers. However, there is as much similarity between the two as there is between croquet players and professional baseball players. Most people don’t know the difference between a psychic and a medium and they lump gypsy fortune tellers, tarot card readers, witch doctors, astrologers, psychics and mediums all together. If they can’t predict the winner of the upcoming derby or come up with the winning lottery number, they must be frauds. The only mediums they know about are the clairvoyants they have seen on television. 9. Fraud: As the Spiritualism epidemic of the late nineteenth century grew, so did the number of charlatans – people pretending to have mediumistic ability by employing various tricks. Even some legitimate mediums are said to have turned to tricks when their powers failed them in order to not disappoint those present. Many magicians, including the great Houdini, came forward to explain how certain phenomena “could have” or “might have” been accomplished by clever sleight of hand or other deception. While Professor William James of Harvard said that Leonora Piper was his “one white crow,” the one who proved that all crows aren’t black, the more skeptical mind reasoned the other way: one black crow proved that all crows are black. 10. The Roving Subconscious: A goodly number of the pioneers of psychical research came to believe in the reality of psychic phenomena but remained skeptical on the survival and spirit issues. They hypothesized that a “secondary personality” buried in the medium’s subconscious telepathically picked up the thoughts of the sitters, somehow processed those thoughts, and intelligently communicated information as if it were coming from a deceased person. When information came through unknown to the sitters, the researchers speculated that the medium could tap into the minds of anyone in the world, referring to this form of advanced telepathy as teloteropathy. When that didn’t completely explain it, they further speculated that there is some kind of “cosmic reservoir” from which the medium’s subconscious can access information. Later researchers bundled it all up and called it superpsi. But the most experienced psychical researchers ruled it out as there was too much personality and too much volition to dismiss it as anything other than spirit communication. Moreover, the pioneering researchers could see no logical reason why these so-called secondary personalities of mediums from different continents would all pretend to be spirits of the dead. How did all these secondary personalities collaborate in this worldwide deception? To what end? 11. Harmony & Impatience: The early history of mediumship clearly indicates the need for harmony in mediumistic settings. Many are the reports in which those sitting with a medium would sing or pray in order to establish the necessary harmonious conditions. 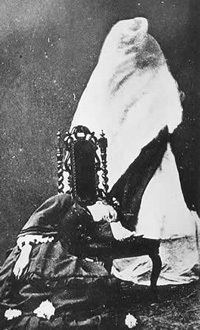 In order to produce phenomena, the spirits are said to have required the medium to be in a passive state, one apparently best achieved with music and prayer. Some mediums could achieve the required state within a few minutes, but there were times when it took an hour or longer for anything to happen and there were many times when a proven medium simply couldn’t produce at all on a particular night because the conditions weren’t right or she had too much nervous energy holding her back. Negativity by the observers defeated good results. Some observers who got nothing on the medium’s bad night wrote off the person as a fraud and indications are that many true mediums were so disparaged. 12. Too Hokey: So much of physical mediumship seemed weird and exceeded the boggle threshold of nearly everyone. Some materializations looked like mannequins or dummies; some were flat; some didn’t look like the person he or she claimed to have been. Often, there was only a face or a hand. The fact that most mediums required darkness added to the belief that it was all fraudulent. Even many of the researchers who accepted mental mediumship had a difficult time accepting physical mediumship. But those who stuck with it long enough came to understand what the problems are. So much of it is imperfect thought-projection from the spirit world, while much also depends on the strength of the medium to produce the necessary odic force, or ectoplasm. 13. Too Much Gibberish: Even with the best of mediums, there was much vagueness and ambiguity, even gibberish, in the communication. Skeptics saw all this as evidence that the so-called mediums were charlatans, as they assumed that if spirits really exist they should be able to communicate in a much more intelligent and effective manner. But, as the more experienced researchers came to understand, the subconscious of the medium is a factor and often distorts the message as it is filtered through her or his brain. Also, sprits themselves are limited in their ability to effectively communicate. It takes much practice on their side and development on our side. Here again, much of the communication was by thought-projection and symbolic, thus resulting in different interpretations. Often, low-level spirits got involved and completely muddled the communication. 14. Trivialities: Many of the early researchers, including William James, wondered why so much of what came through mediums was of such a trivial nature, like what happened to Uncle George’s watch or the location of a birthmark. Why didn’t they talk about the nature of reality, what it is like on their side of the veil, etc.? The fact is that much of the early communication did address more profound subjects. The writings of Judge John Edmonds, Dr. George Dexter, Professor Robert Hare, Educator Allan Kardec, and Rev. William Stainton Moses offer very comprehensive reports on the greater reality, but it was not evidential. It was the trivial message that was evidential. 15. False Assumptions: The assumption seems to be that spirits, if they exist, are all equal in the “heaven” of orthodox religion, and are “all-knowing” and therefore they should all agree with each other. The fact that they disagree on some things, especially on the subject of reincarnation, suggests fraud. However, as the pioneering researchers came to understand, spirits are at different levels of advancement, some not knowing any more now than they did when alive in the flesh. Moreover, low-level spirits find it easier to communicate with us because they are closer in vibration to humans than the advanced spirits. At the lowest levels, the spirits don’t really know how little they know and therefore often give incorrect information. It has been likened to an alien from another planet landing in the jungles of New Guinea and reporting back home that humans are all very primitive in their ways. In conclusion, to borrow from Stewart Edward White, a renowned author from the early twentieth century, the spirits showed us much of the landscape they traverse and provided us with a “highway going on for eternity.” And although we cannot discern the end of the Road, “we are able to make out, through the mists, at the least the lay of the land” through which we will continue our journey. This life can be so much more fulfilling and enjoyable by recognizing that we are not all marching toward an abyss of nothingness, that life does have meaning and that much of that meaning can be found in overcoming adversity. It was to that end that the pioneering psychical researchers dedicated themselves, and the primary purpose of this blog is to help in some little way to make their work better understood and appreciated. Beginning in 1873, Marryat observed phenomena with Cook on a number of occasions and became a close friend. During her first visit with Cook, she states that she was sitting at a dining table with approximately 30 people when the table was levitated, the bottom of the table, with everything upon it, rising to about knee level. At one sitting, Katie King invited Marryat and the other sitters to cut off a piece of her dress, place it in an envelope, and take it home. They complied, but all reported that when they got home the envelopes were empty. Marryat added that she witnessed 40 other materializations that night, all speaking distinctly and audibly, more so than she had ever witnessed in England. She concluded that the dry atmosphere of the United States was more favorable to the materialization phenomenon than that of England. Daughter Florence explained that Uncle Ted was so overcome at seeing her that he couldn’t materialize better. Two nights later, Marryat returned for another sitting with Mrs. Hatch. This time, Florence and Ted both came, Ted at full height and with a full head of hair, parted just as he used to wear it when alive in the flesh. However, Ted was unable to speak, Florence explaining that he was too weak to do so. There is only a small sampling of the mind-boggling phenomena set forth by Florence Marryat in this book. While the skeptic may have no alternative but to claim that the book is a work of fiction, like most of Marryat’s other 60-plus books, such a theory seems extremely far-fetched. There is too much earnestness and sincerity in her writing and too many other living people (when the book was published) mentioned in the book who could have refuted her words to believe that this was anything but a factual account of her experiences. “Every word I have written is the honest and unbiased truth,” she ends the book. I find it difficult to believe that a woman of her reputation would have had a motive to make it all up or even embellish it to any great extent. 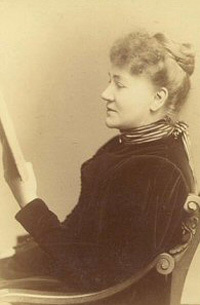 This book as well as a second book on the same subject – The Spirit World, released in 1894 – were published well after she had established herself as a renowned writer.